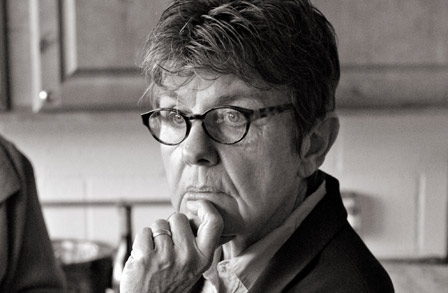 Born in California in 1945 and acknowledged as one of the most original voices in the contemporary landscape, Kay Ryan is the author of several books of poetry, including Flamingo Watching (2006), The Niagara River (2005), andSay Uncle (2000). Her bookThe Best of It: New and Selected Poems (2010) won the Pulitzer Prize for Poetry. Kay Ryan is the recipient of several major awards, including fellowships from the John D. and Catherine T. MacArthur Foundation, the National Endowment for the Arts, the Ingram Merrill Foundation, and the Guggenheim Foundation. She has received the Union League Poetry Prize and the Maurice English Poetry Award, as well as the Ruth Lilly Poetry Prize. Since 2006 she has served as a Chancellor of the Academy of American Poets. Martha Heimberg, presenter, has been writing about theater, the arts and historic preservation for over 30 years for numerous Texas newspapers and magazines, including Dallas Weekly, D Magazineand Texas Monthly. She currently writes a weekly theater column for Turtle Creek News. She has won awards from the Dallas Press Club and the Texas Historic Commission, and is a founding member of the Dallas Fort Worth Theater Critics Forum. She coordinates DART’sPoetry in Motion program, and has served many years on the WordSpace board. Her degrees in English and comparative literature are from Southern Methodist University. She is associate professor of English at Northwood University in Cedar Hill, Texas.